New York City's Moka Nightclub is playing no games when it comes to hosting the official album release party for dancehall star Serani. Making it a FREE event, Moka invites everyone to come celebrate this Friday, November 6, 2009 in Queens, New York. 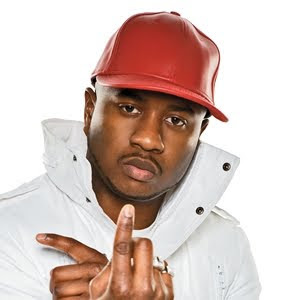 Serani dropped his debut album No Games worldwide on Tuesday, October 27, 2009 on the Universal Republic imprint. The album has spurned two commercial hits, "No Games" and "She Loves Me," both which have made a decent showing on radio, with "No Games" becoming a Billboard mainstay. First as a producer with production outfit DASECA, Serani has been responsible for a number of crossover hits long before he made the jump himself, including Sean Paul's "We Be Burnin'" and Tony Matterhorn's "Dutty Wine." In fact, the versatile and talented entertainer claims the majority of production credits on his own album, in stores now. Moka opens its doors this summer and ever since has attracted the biggest names in Caribbean and Latin entertainment, and is the essence of chic nightlife. It's located at 130-35 91st Avenue between Atlantic and Jamaica avenues. Doors open at 9pm and dress code is in effect. Log on to www.mokanyc.com for directions and venue details. For media inquiries, please contact RHONA FOX, INC. at 212-300-3813 or publicity@rhonafoxinc.com.